The striking purple agate necklace is artfully wrapped with silver, set off with white crystals, on a 20-inch silver chain. 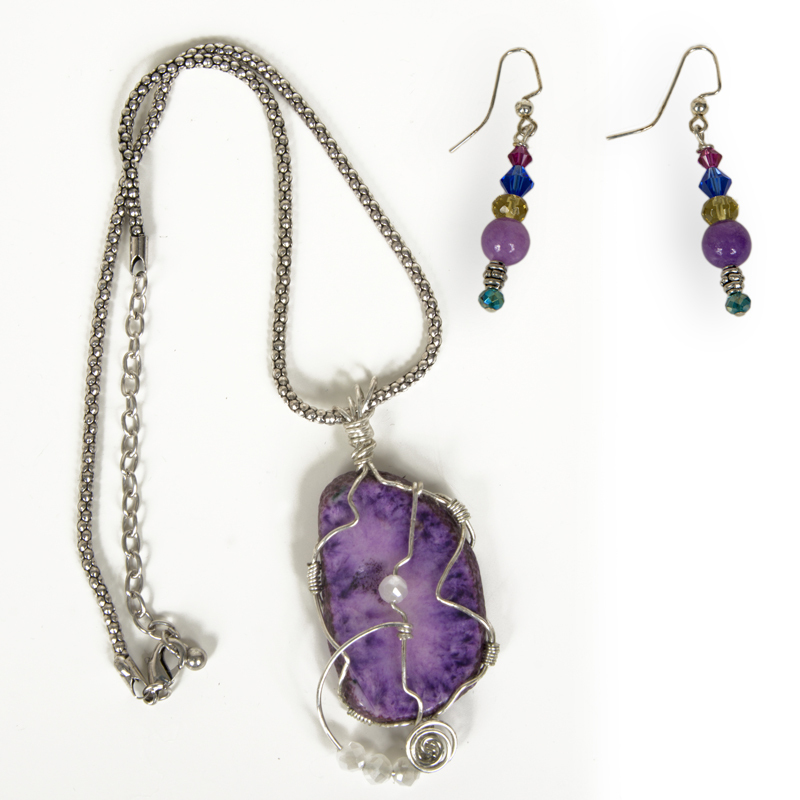 The matching earrings feature purple agate with blue, rose, topaz, and aqua colored crystals, with silver hooks. Many early cultures believed that crystals have healing properties. By Inspiration Creations of Berryton, Kansas.